Welcome and thank you for visiting my website. I really love being a marriage celebrant in Melbourne! 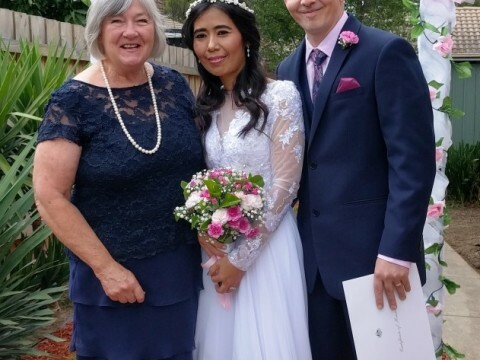 I am a university-trained and Australian Government registered Melbourne marriage celebrant with over ten years experience in performing weddings, commitment ceremonies, renewal of vows, baby-naming and special occasions. 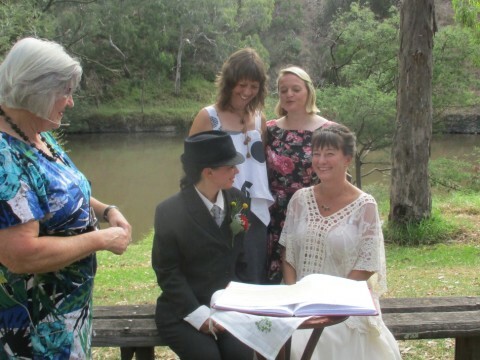 I am a leading Melbourne marriage celebrant and my style is warm, natural and young at heart. My approach is to listen to you, plan with you and create a ceremony that is just what you want it to be. My training and experience have given me a deep knowledge of the importance of ritual and ceremony in our lives. 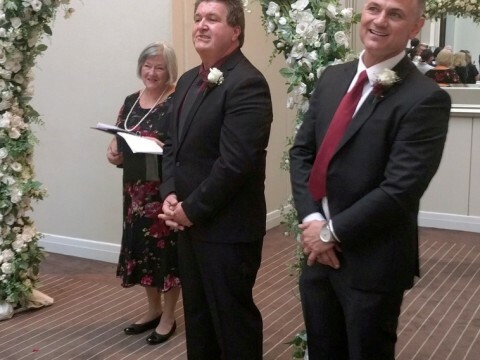 Please have a look around my website - I hope you decide that I am the Melbourne marriage celebrant for you! Hi Rosemary Thank you for making our wedding day so special. From the first day we met you to the wedding day it was just faultless. Will highly recommend you to anyone looking for a celebrant to get married. I have done a post about you on your site. Many thanks again and take care.